From the brutal stabbing of Julius Caesar in Ancient Rome to the murder of an Archduke which triggered the devastation of the First World War to the horrifying shooting of President John F Kennedy, which sent shockwaves around the world, assassinations have plagued the rich and famous since time immemorial. Rulers, revolutionaries and secret agents have killed to take over lands and money, to gain power, to silence those who oppose or oppress them, for their religious beliefs and for the notoriety and attention to their political cause that comes with the murder of a high-profile victim. While modern day monarchs and governments may not have embraced the tool of assassination to the same degree as the Romans, power struggles and political differences still are often decided by swords, triggers and even poison. 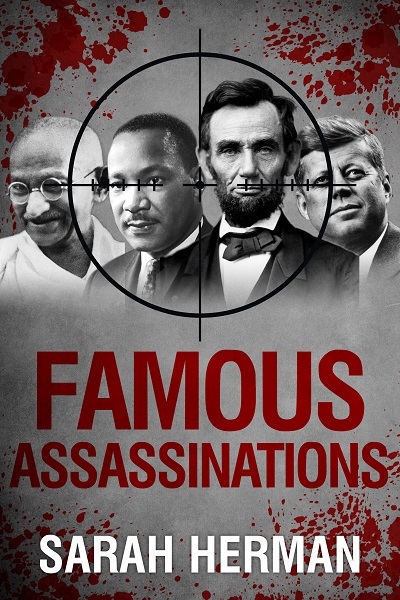 In Famous Assassinations, Sarah Herman tracks the history of these politically and economically motivated killings throughout history, illuminating some of the famous – and more obscure – murders which have shaped the modern world.